Size of baby: Baby H is the size of an apple! 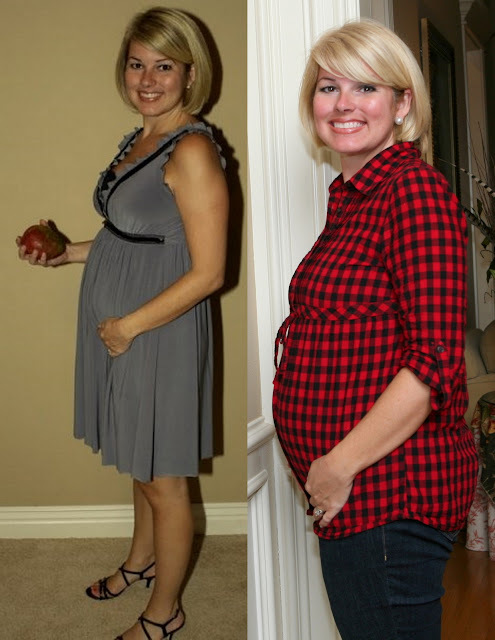 Maternity Clothes: Just bought a couple of pair of maternity jeans and I am LOVING them! Gender: Can't wait to find out! 3 more days!!!! I'm dying to know! Sleep: I'm so tired - that I sleep pretty good! Best Moment this week: Just being so thankful for this baby! And Happy 8th Birthday to our very first baby Dawson! Dawson - you are the sweetest dog - I just love you to death! You have been so good with Harper and she is CRAZY about you. She kisses you constantly and says "Dawson" all day long. I know you won't be thrilled that we are adding ANOTHER baby to the family but I bet you will all be friends before long!